When Anson Jones discovers one of the men who embezzled money from his family’s company hid the loot near Morgan’s Crossing in Montana Territory, he leaves Oregon and travels there under the guise of setting up a horse ranch. Then all he has to do is wait for the culprit to slink into town, dig up the money, and have him arrested. There’s only one problem. 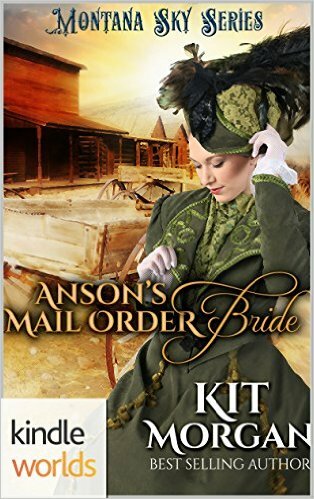 Anson just sent train fare to the Pettigrew Bridal Agency for his mail-order bride! He can’t bring a woman into such danger and telegraphs the agency to stop everything. But when his message to Mrs. Pettigrew is altered, she thinks he wants her to send his bride to Montana! Misunderstandings, a loony villain, plenty of romance and a few surprises make for a fun romp. Lillie Mayer wasn’t like other people, and she knew it. Worse, her father never let her forget it. He called her stupid more times than she could count and after the loss of her mother years before, even she marveled at how long she’d managed to stay with him. But enough was enough and so one day, Lillie ran and kept on running. 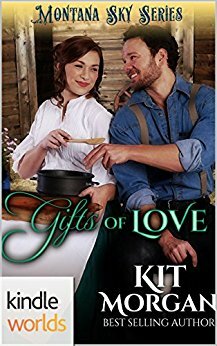 Enjoy this clean, sweet, western historical romance story of self-discovery with Jess and Lillie! Viola Todd and her two small children, Wylie and Katie, set out for Morgan’s Crossing, Montana to start a new life, but not without a few unexpected bumps along the way! For one, Viola’s absent-minded brother, Clarence, their reason for leaving Baker City, Oregon and moving in the first place, forgot to pick them up from the train station! Stranded in Sweetwater Springs, Viola didn’t know what to do! Thank heaven for Caleb White. 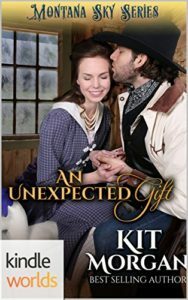 Enjoy this sweet, historical western romance full of unexpected surprises! Luella Jones has never been one to hold back. So when she sees the pain in the eyes of her brother’s hired hand, she sets out to discover the cause. Perhaps, that wasn’t the best idea she’d ever had. Jonas Cummings finally has a chance to better himself, make a new start, and leave his past behind. He’d be a fool to let one slip of a girl ruin all he’s accomplished. Yet, his employer’s sister has other ideas. But how can he deter Luella without putting his job in jeopardy or, even worse, risking his heart? 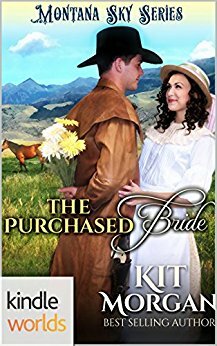 Enjoy this clean and wholesome tale of love, laughter, and healing.